The Navy has a sent an anti-submarine ship to northern Norway to protect Russian fishing fleets from potential harassment. 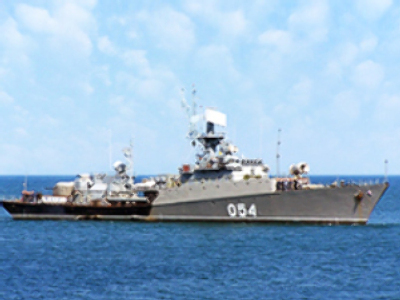 The Severmorsk is already patrolling the waters around Svalbard while the rocket cruiser Marshall Ustinov is scheduled to arrive in the region on July 17. The Svalbard region – the northernmost part of Norway – has special status. Both Russia and Norway are entitled to operate in the archipelago. Russia has its own settlement there – Barentsburg – and extracts coal as well as having fishing interests. The decision to re-establish a navy presence near Svalbard is a reaction to a move by Oslo to name the archipelago as an exclusively Norwegian economic zone, thereby prohibiting Russian fishermen from working there. The Russian fleet operates in the Arctic on a regular basis in strict accordance with international law.